Travis Christofferson, M.S. from SingleCauseSingleCure.org received his undergraduate degree in molecular biology from the Montana State University Honors Program and a master’s degree in Material Engineering and Science from the South Dakota School of Mines and Technology. Today, he is a full-time science writer and founder of a cancer charity. He lives in South Dakota. 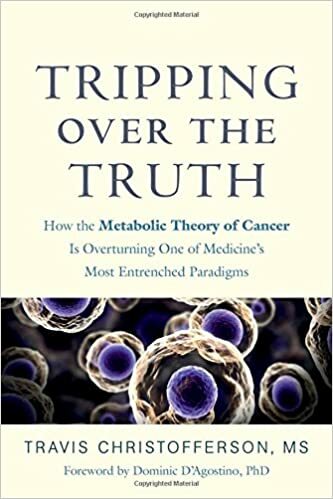 Listen in today as Jimmy talks with Travis about his book Tripping over the Truth: How the Metabolic Theory of Cancer Is Overturning One of Medicine's Most Entrenched Paradigm and the fascinating tale of Travis's research that led to the writing of this unique story of our current understanding of cancer. For anyone affected by this terrifying disease and the physicians who struggle to treat it, this book provides a fresh and hopeful perspective. It explores the new and exciting non-toxic therapies born from the emerging metabolic theory of cancer.